For those visiting New York City, Manhattan is a must. That being said, there is a lot to explore just outside of the city, especially in the neighboring boroughs. 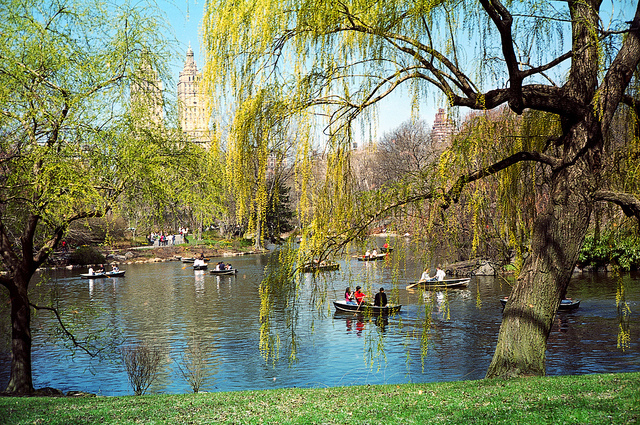 From experimental art to NYC’s largest recreation area to mountain hiking, you’ll find it all within two hours of the city. To help you plan a memorable itinerary, here are some top day trip suggestions. This jaunt will be one of the easiest on the list, as Bushwick is just 15 minutes from lower Manhattan via the L, J and M trains. Bushwick is one of Brooklyn’s most up-and-coming neighborhoods, and while still gritty on the exterior there is a lot to see and explore, especially in terms of the arts, food and drink. Start by exploring the modern art galleries around the Morgan L stop, like English Kills, ArtHelix, Brooklyn Fire Proof, Fuchs Projects , and Norte Maar. You can then head to the intersection of Troutman and Wycoff to wander the open air street art galleries, full of colorful murals. 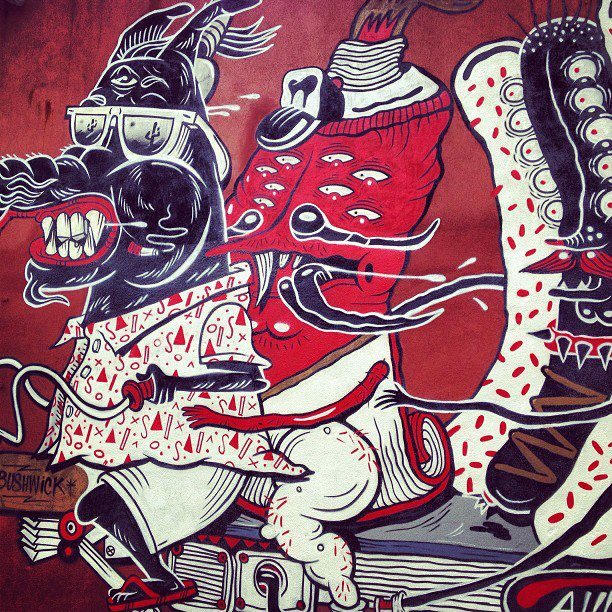 An avant-garde show at the Bushwick Starr is a must, as is a drink and draw class at The Living Gallery. When you get hungry, savor farm-to-table fare at one of the many great Bushwick restaurants, like 983 – Bushwick’s Living Room, which also features local artwork and Mason Jar craft cocktails; Tutu’s, with its urban farm feel; and Roberta’s, known for their creative Neapolitan-style pizzas, communal atmosphere, and fun workshops and events. Also not far from the city is Astoria, Queens, about 20 minutes by train from Times Square and home to a rich mix of cultures as well as a new crowd of creative types. Along with world-class institutions like The Museum of the Moving Image, the al fresco Socrates Sculpture Garden and The Noguchi Museum, dedicated to the works of Japanese sculptor Isamu Noguchi, you’ll find modern artsy cafes like Monika’s Cafe Bar and Cávo. For some natural beauty, Astoria Park encompasses 60 acres of running paths, tennis, bocce and skateboarding courts, East River views and NYC’s oldest and largest pool. One of the best times to visit Astoria is during weekend brunch, where you’ll typically find less expensive options that are just as good as what’s in Manhattan. Some recommendations include Queen’s Comfort (order the spicy homemade Mexican waffle), DiWine ($15 prix-fixe + $14 for unlimited booze) and SugarFreak (their Creole- and Cajun-influenced menu is something you won’t find anywhere else). What’s amazing is how few people know about this place — which is NYC’s largest recreation area, three times larger than even Central Park! 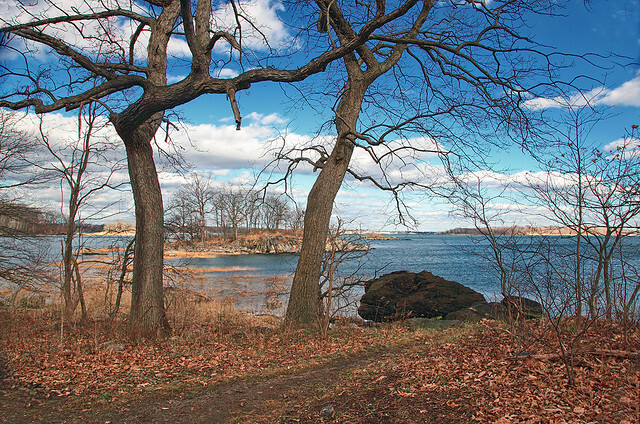 With 2,766 acres of fun activities like playing sports, visiting the Bartow-Pell Mansion Museum, bird-watching, bocce, fishing, hiking, kayaking, cycling, strolling through colorful gardens — even horseback riding and lounging on the beautiful Orchard Beach — it’s worth the hour-and-a-half jaunt from Times Square or the 30-minute car ride. A quick 15-minute taxi ride away from Pelham Bay Park is the must-see New York Botanical Garden, home to beautiful themed gardens, ambient strolls, educational workshops and flora-related exhibitions. Tip: Don’t miss their Native Plant Garden, a great way to immerse yourself in NYC’s natural culture. Take the Long Island Railroad or Hampton Jitney to Mattituck — both about two hours — or book a wine tour with a company like North Form Wine Tours or Long Island Wine Tours and head to Long Island’s North Fork Wine Trail. Here, you’ll be immersed in endless rows of grape vines, farm stands, pie shops and antique stores. It’s an idyllic country getaway that’s surprisingly close to Manhattan, that many visitors tend to miss (but you shouldn’t!). The island’s moderate maritime climate, glacial soils and abundance of sun allows for a wide array of varietals from around the world to prosper, like Chardonnay and Merlot (the two most popular), Sauvignon Blanc, Viognier, Pinot Grigio, Semillion, Cabernet Franc, Cabernet Sauvignon, Syrah, Pinot Noir and many more. Some highly recommended wineries include Martha Clara Vineyards, where you’ll also find art gallery barns, live music on weekends and regular weekly events, Bedell Cellars , known for making some of the region’s top reds, and Pindar Vineyards, the region’s largest producer and the most popular of Long Island’s 45+ wineries, with live music and social atmosphere. If you want to spend the night, Sannino Bella Vita Vineyard offers tastings in a 1900s barn as well as bed and breakfast accommodation. Bear Mountain is an easy day trip from Manhattan, about an hour and 40 minutes by Short Line Bus or an hour by car. 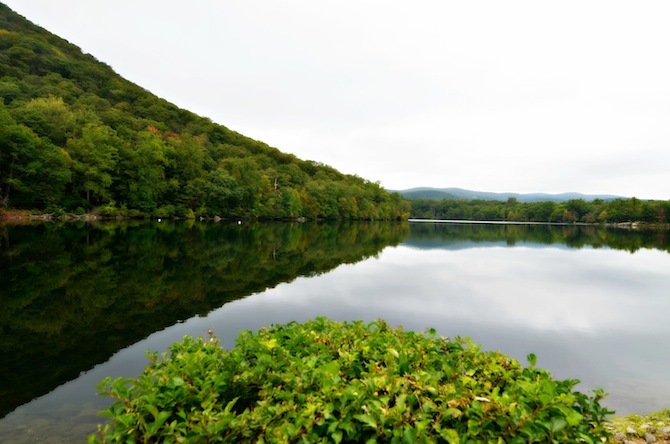 Here, you’ll be able to hike a variety of trails of varying intensities — including six miles of the famous Appalachian Trail — as well as go fishing, row boating, swimming, cycling, cross-country skiing, a zoo, picnicking, sports fields, barbecuing and much more. One of the most popular trails is to the Perkins Memorial Tower on top of Bear Mountain, which offers a free-to-enter museum talking about the history of the park as well as 360-degree views of Bear Mountain State Park and beyond. On a clear day you can even see New York City! The hike is moderate-difficult — there are some steep sections — and takes about two-to-three hours round-trip. 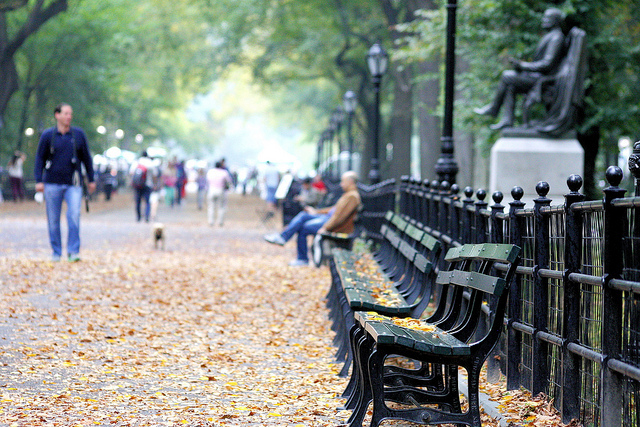 Expert tip: Want to make the most of your time in NYC? Check out these amazing New York vacation packages including specials for teachers and students! Jessica Festa is the editor of the online food, culture and responsible travel magazine, Epicure & Culture as the solo and offbeat travel blog, Jessie on a Journey . She enjoys getting lost in new cities and having experiences you don’t read about in guidebooks. Some of her favorite travel experiences have been teaching English in Thailand, trekking her way through South America, backpacking Europe solo, road tripping through Australia, agritouring through Tuscany, and volunteering in Ghana. When not on the road, you’ll find her in Brooklyn dancing in warehouses, riding her bike and exploring the local food and drink scene. You can also follow Jessie’s adventures on Facebook, Twitter , and Instagram . One of the best ways to explore a new destination is through the palate. For those traveling to New York City, you’ll have no limit to the number of food-focused activities you can partake in. From ambient aerial dining to learning to make your own pizza, here is a guide to NYC’s top food experiences. 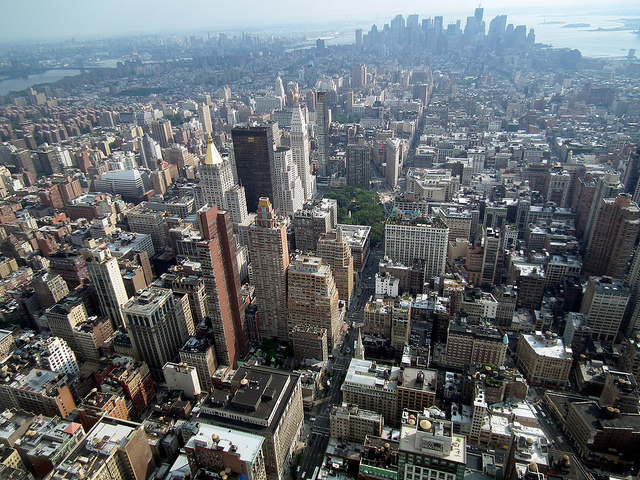 Expert tip: Want to make the most of your tip in NYC? Check out these amazing New York student vacation packages , including specials for teachers and students! Is there anything more ambient than dining on a rooftop? Luckily, New York City has plenty. One recommendation is Upstairs at the Kimberly, where farm-to-fork tapas (the spiced duck cigars with pomegranate dipping sauce are amazing!) and craft cocktails are paired with front-row views of the Chrysler Building, its spires especially beautiful at night when illuminated. Another great option is the Gallow Green , which sits on top of the quirky McKittrick Hotel, a warehouse-turned-live theater for the interactive Sleep No More performance. In the rooftop eatery overlooking Manhattan’s West Side, strings of bare bulbs, pebble garden floors and weathered wooden tables create a whimsical ambience, while punch bowls, glazed quail skewers, mini pork pies and elderflower cheesecake satisfy the palate. Taking a cooking class in NYC is not only fun, it can help you really appreciate your food. While there are myriad of courses to choose from, it’s best to go with a class that reflects the local culture. During a pizza-making class with Pizza A Casa you’ll learn to make your own dough all the way to topping your creation, baking it and eating. Another yummy class is an Artisan Pretzel course with the Institute of Culinary Education, where you’ll leave understanding how to make delicious giant soft pretzels from scratch, complete with sweet and savory toppings and dipping sauces. While not a cooking class, per say, a Foraging Tour with “Wildman” Steve Brill educates you how to put together truly local meals using the bounty of NYC parks. New York City is littered with 99 cent pizza shops and storefronts claiming to be “New York’s Best Pizza.” While I’m not saying these venues are bad, you should spend your money savoring pizza only from the top NYC shops. One local favorite is Artichoke Basille’s Pizza , known for hearty pizza wedges topped with everything from olive oil and fresh basil to crab sauce to spinach artichoke dip — not to mention beer and wine at their Chelsea location. If you like Sicilian pies, take the train into Brooklyn and visit L&B Spumoni Gardens , renowned for their square slices topped with tangy tomato sauce atop fresh mozzarella (and homemade spumoni). And at Tavola in Hell’s Kitchen, Chef and Owner Nicola Accardi draws from his travels through Italy and serves out-of-this-world pizzas cooked to perfection in a 7,000-pound wood burning double oven made from Vesuvio volcanic clay. Yum! Those with a sweet tooth should head to Manhattan’s West Village, home to NYC’s best sweeteries. Like cupcakes? Choose between Sweet Revenge, which specializes in pairing made-from-scratch cupcakes (think peanut butter cake stuffed with ganache and topped with peanut butter fudge) with wine and beer, or Molly’s Cupcakes where you can make your own treat or choose from the decadent display case before sitting at one of the their courter swings or playing a board game from their expansive selection. If it’s gelato you’re after, Popbar serves artisanal gelato made fresh each day and dipped in sweet sauces before being coated in toppings. There’s also Grom , an Italian gelato company sourcing only the best ingredients, like organic stone fruits from Piedmont and lemons from Sicily. And at Ayza Wine & Chocolate Bar one can indulge their cocoa craving with a selection of chocolate martinis, fondue, a chocolate fountain, dessert pizza, truffles, molten cake and more. One way to get a true taste of local culture is through a farm-to-fork restaurant serving dishes crafted from locally-sourced ingredients. If you head to Brooklyn’s Williamsburg neighborhood and walk down Bedford Avenue and its surrounds, you’ll find almost nothing but, with sustainable eateries like Wild, Allswell , Traif and Brooklyn Oenology , a New York winery also serving local nibbles. In Manhattan, don’t miss ABC Kitchen , where ingredients are not only locally and humanely sourced, but healthy and free of any chemicals or hormones. The grilled bread topped with house-made ricotta and fig compote, and the fried organic chicken with collard greens are both menu standouts. Jessica Festa is the editor of the online food, culture and responsible travel magazine, Epicure & Culture as the solo and offbeat travel blog, Jessie on a Journey . She enjoys getting lost in new cities and having experiences you don’t read about in guidebooks. Some of her favorite travel experiences have been teaching English in Thailand, trekking her way through South America, backpacking Europe solo, road tripping through Australia, agritouring through Tuscany, and volunteering in Ghana. You can also follow Jessie’s adventures on Facebook , Twitter and Instagram. While NYC is known for being pricey, it doesn’t have to be. All you need are a few insider tips and you’ll enjoy the best of the Big Apple on a budget. From free tours to complimentary nibbles, here are some top tips for New York on a budget, as told by a local. It’s a myth that everything in NYC costs a fortune. In fact, the city is full of complimentary experiences to enjoy. Wander lush and fun-filled grounds like Central and Prospect Parks, head to Bryant Park to learn juggling or take a yoga class, wander the inspiring Socrates Sculpture Park, see a show at Upright Citizens Brigade ($0-$10), take a free class at the New York Public Library, and keep your eyes peeled for free tastings at wine shops like Astor Wines & Spirits and Big Tree Bottles. A number of world class museums offer donation-only based entry, like the American Museum of Natural History, Metropolitan Museum of Art, The Museum at the Fashion Institute of Technology, National Museum of the American Indian and the Leslie–Lohman Museum of Gay and Lesbian Art. If a museum isn’t free, check their website to see if they offer any special free days or evenings, as many do. Depending where you need to go, you’ll often be able to reach a destination quicker when taking the subway, as you’ll skip the street traffic. Although NYC’s extensive transport map appears similar to a scary alien creature when you first look at it, it’s actually simple to understand — and can take you literally anywhere you need to go. The easiest way to navigate the subway is with an app like Embark or HopStop, which both tell you exactly what you need to do to get from Point A to Point B. If you don’t have a smartphone, HopStop provides subway directions through its website. When planning a budget-friendly trip to NYC, don’t just book the first excursion that shows up in a Google search. First, check the offerings of Free Tours by Foot . This sightseeing company works on a tips-only basis, so the walking excursions themselves are no charge. You’ll just need to make a reservation to reserve your spot. To show you just how varied their tour offerings are, some options include Ghosts of Greenwich Village, Gramercy Thrift and Vintage Shopping Day, Central Park, Brooklyn Graffiti And Street Art, and Harlem Food, to name a few. Accommodation is often the most expensive part of an NYC stay. Save money by downloading apps and using tools designed just for that. 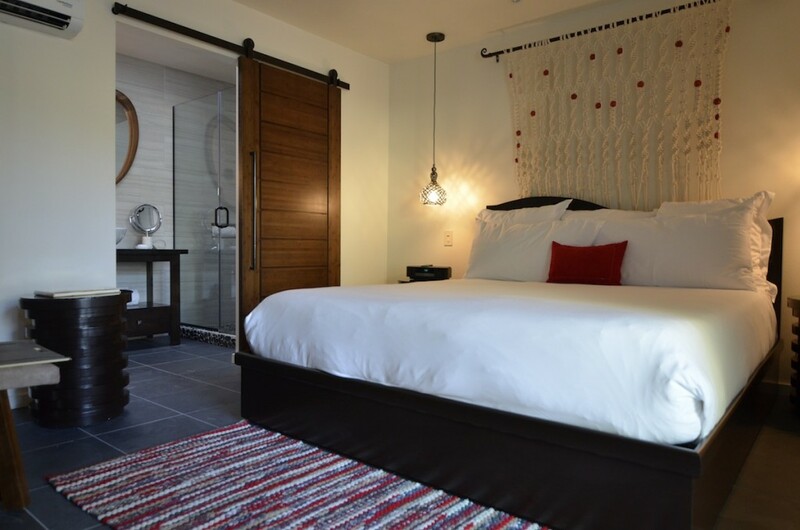 For example, Hotel Tonight allows you to save on unsold hotel rooms up to seven days before your trip. Moreover, Tingo is a travel booking website that offers price drop refunds, meaning if your hotel room becomes cheaper after you book you’ll get the difference back. And with Priceline you can bid on hotel rooms — although you’ll only know the class of the hotel before you pay — and often score business and luxury class hotels for 50% or more off. You can also use tools like Groupon and LivingSocial to find discounted hotels and travel packages — not to mention attractions and restaurants — typically offered at more than half off the original price. Happy hour is a great time to score discounted food and drinks. Not only that, but at select venues in NYC you can also get free food, often with the purchase of a drink. While Agozar! offers free tapas between 5 and 8pm, The Watering Hole serves a free buffet between 5:30pm to 6:30pm on weekdays. Head to restaurants like Crocodile Lounge, Alligator Lounge and Charleston and you’ll be savoring your very own personal pizza pie. Do some research to see where you can stretch those dining dollars even farther with complimentary bites. USA Student Tour can help you plan your next New York vacation! Check out these amazing New York vacation packages from USA Student Tour, including specials for teachers and students! Jessica Festa is the editor of the online food, culture and responsible travel magazine, Epicure & Culture as the solo and offbeat travel blog, Jessie on a Journey. Some of her favorite travel experiences have been teaching English in Thailand, trekking her way through South America, backpacking Europe solo, road tripping through Australia, agritouring through Tuscany, and volunteering in Ghana. You can also follow Jessie’s adventures on Facebook , Twitter and Instagram. It’s argued that the nation’s music began in the Mississippi River corridor, with jazz emerging from New Orleans and the blues migrating from the Delta into the streets of Memphis where it found its own and evolved into rock ’n’ roll, rhythm and blues and soul. In the rural areas another sound emerged, immigrated from the Old World and evolving as well into bluegrass, rockabilly and country. Almost all of these distinct American styles can trace their ancestry to the Deep South. Jazz migrated northward with bands like King Oliver and Louis Armstrong and the sound filtrated to the East Coast and became a national and now international sensation. About the same time African Americans were performing a style of music taken from the cotton fields of the Mississippi River Delta, hard luck stories and hopes sung while working. W.C. Handy heard this rhythmic sound while passing through and published a song based on his recollection. He would later become the “Father of the Blues,” publishing many more like it. As people began demanding more “blues,” talent from the Mississippi Delta began pouring into Memphis and Chicago to earn money performing. Memphis’s Beale Street was the heart of the Southern action, and soon the place where record producers would start capturing this unique sound on vinyl. Today, New Orleans continues to celebrate its jazz heritage with the Preservation Hall Jazz Band and all types of jazz performed live in venues throughout the city. 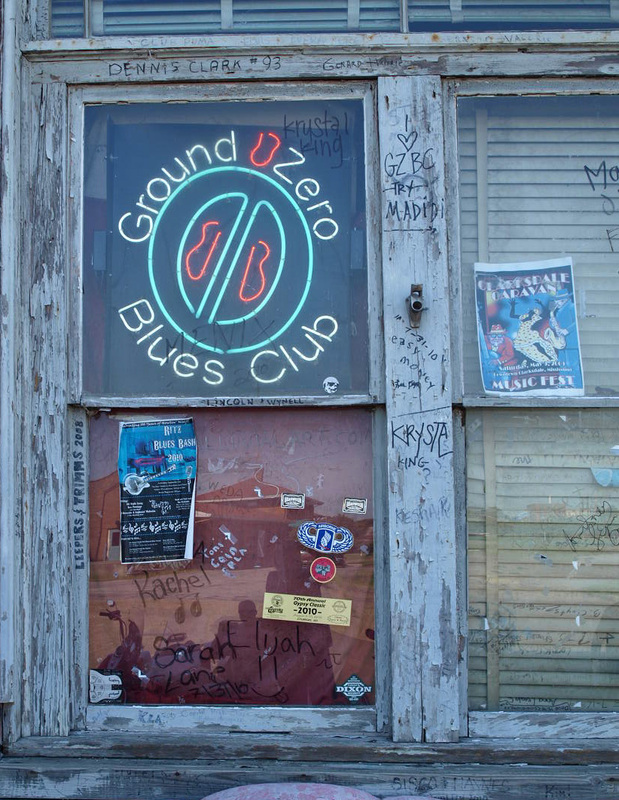 Pick up Cheseborough’s guide and visit the dozens of blues markers, museums and blues juke joints throughout Mississippi, such as B.B. 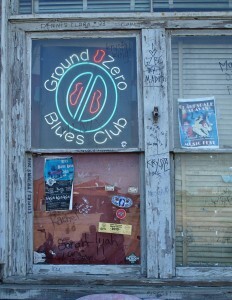 King’s Museum and Ground Zero Blues Club. There are several of these well-developed markers outside of Mississippi as well, including Graceland, home to Elvis Presley; Ferriday, La., home to Jerry Lee Lewis; and several on and near Beale Street in Memphis. 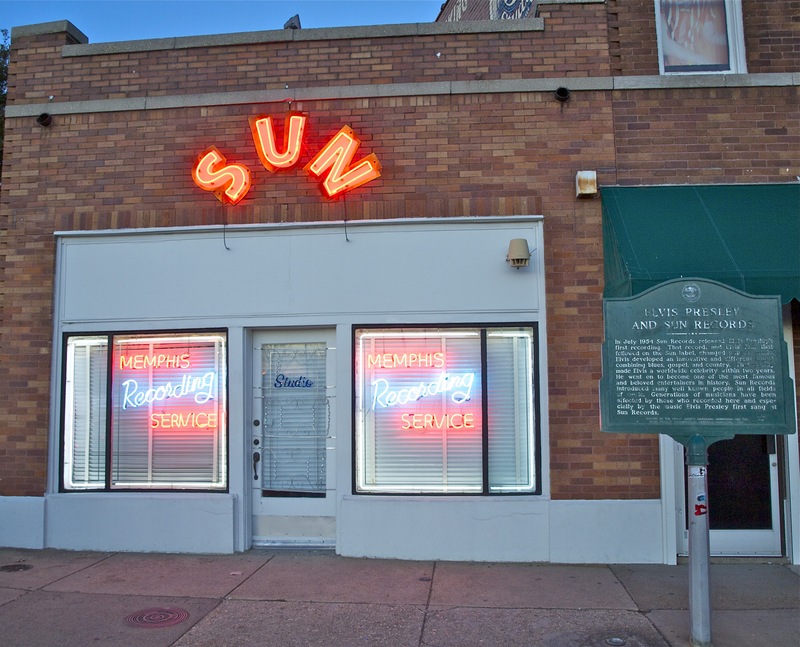 Speaking of King Elvis, the most popular pop star in American history was born in Tupelo, Miss., earning his fame at the Louisiana Hayride radio show in Shreveport and recording his first hit at Sun Studios in Memphis, both of which are open for tours. Of course all fans will want to visit his Memphis home, Graceland, with its mansion, auto museum, private planes and special exhibits. Visitors who take in the Smithsonian’s Rock and Soul Museum in Memphis will receive an interactive history of the many cultural elements leading to the formation of blues, rock, soul, rhythm and blues and country. As with all Southern travel, everything relates to food, and nothing tastes better listening to America’s music than Deep South cooking. Of course, Nashville is the heart of the nation’s country music industry, but a little too far north to be considered Deep South. And that’s the topic of another blog. Stay tuned. 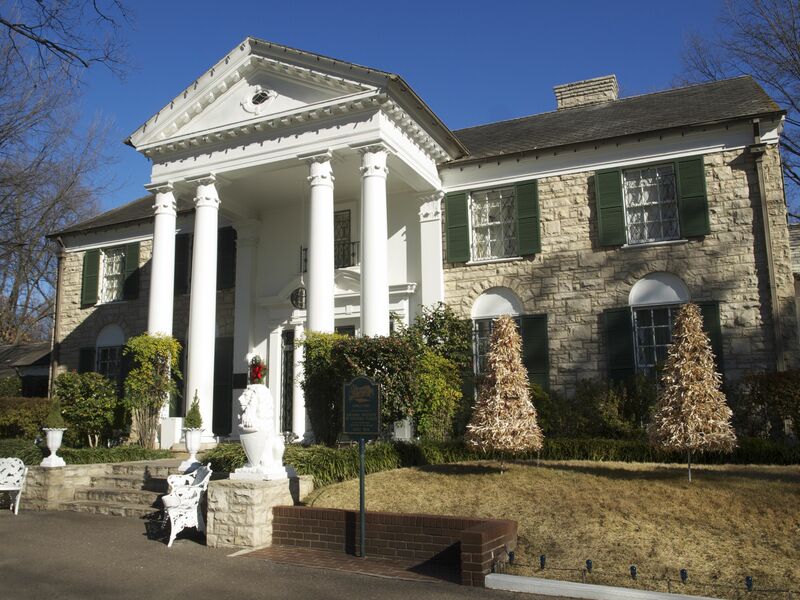 If you are interested in visiting the southern states, check out our New Orleans Vacation Package and Nashville & Memphis Vacation Package and start planning your next vacation! Lafayette, the heart of Cajun Country in South Louisiana, has been buzzing for several years now. Known for its vibrant Cajun and zydeco music, the town’s musicians have garnered international nods and raked up a few Grammys. 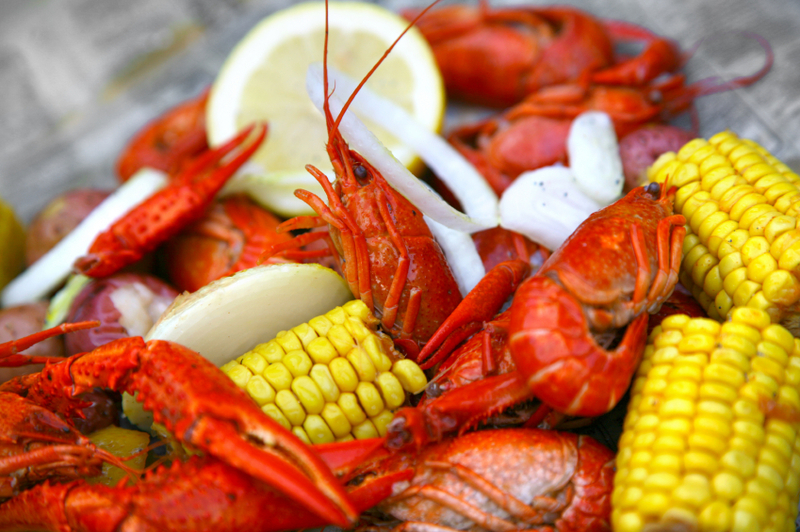 Its culinary scene, once strictly a Cajun food mecca, has expanded and evolved, one of the reasons Lafayette was named “Best for Food” by Rand McNally’s 2011 “Best of the Road” contest and the 2012 “Tastiest Town in the South” by Southern Living magazine. The Lafayette Utilities System installed a citywide fiber optics service that’s been making headlines everywhere, attracting national companies and film professionals — Harry Potter’s 3-D effects were created here. And this past year Lafayette was named best in job growth and low unemployment and one of 20 finalists in the Mayor’s Challenge by Blumberg Philanthropies, picked from more than 300 cities nationwide. So if you’re headed to Lafayette, be sure and bring your dance shoes. 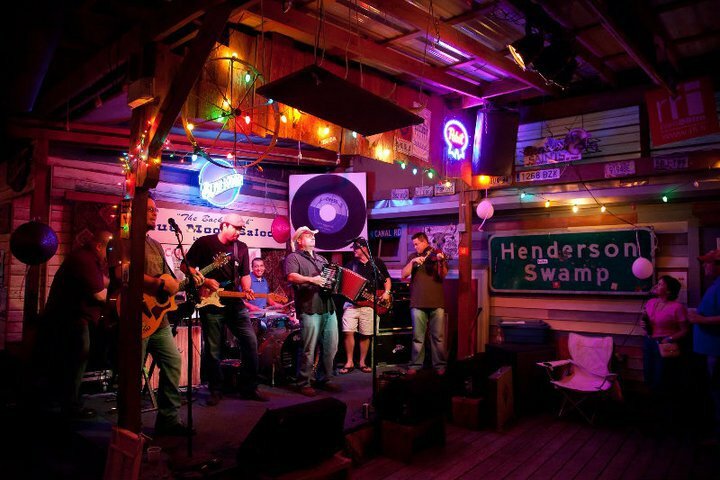 On any given night live music can be found in a variety of styles at a host of music venues, from roots rock at the Blue Moon Saloon and Guest House to traditional Cajun and zydeco at restaurants with dance floors, such as Randol’s. 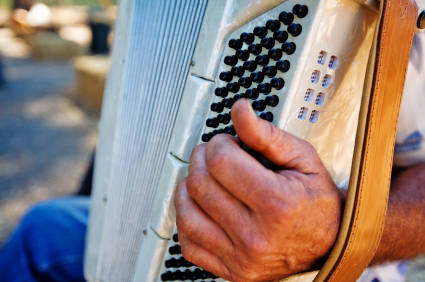 There’s even a week of music classes, jam sessions and culinary instruction at the annual spring Dewey Balfa Cajun and Creole Heritage Week, for those who want to learn everything there is to know about Cajun and Creole culture — and join in the fun. Every spring and fall Lafayette is home to world-renown festivals and free concert series are held in “parcs” in downtown Lafayette. Festival International de Louisiane takes over downtown streets with several stages of music, arts and crafts and of course that delectable cuisine on the last weekend of April. It’s one of the world’s largest free outdoor music events, bringing in musicians from all over the Francophone world. In October, Festivals Acadiens et Crèoles offers both traditional and modern Cajun and zydeco music on several stages in Girard Park, along with Louisiana crafts, food and cultural lectures. Lafayette Mardi Gras celebrations range from the family-friendly parades and balls in town to the unique rural Courir de Mardi Gras celebrations, where participants ride horseback begging for ingredients to a gumbo. The annual courirs hail back to medieval times. Lafayette’s historic sites explain area history of Cajun and Creole settlers, who created an American heritage like no other. Visitors may stroll back in time at Vermilionville Living History Museum and Folklife Park, and the historic Acadian Village. Both sites offer live music and special events year-round. Attractions include the Zoo of Acadiana, the Children’s Museum of Acadiana, the Lafayette Science Museum and plenty of outdoors activities, from hunting and fishing to biking along established trails and canoeing and kayaking in nearby bayous and Lake Martin. There are several state parks nearby, including Lake Fausse Point, the Louisiana Arboretum, Chicot State Park and St. Martinville’s Longfellow-Evangeline State Historic Site. All are fun destinations for those touring or sightseeing. And because the Cajun culture is still vibrant in Lafayette and surrounding areas, it’s possible to hear French being spoken. There are weekly French tables throughout “Acadiana” where people gather for conversation and community and visitors are always welcome. 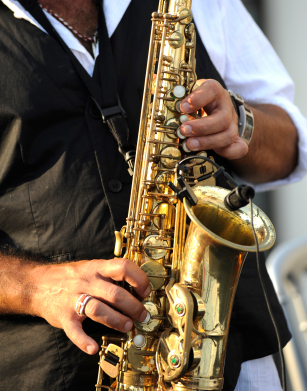 And for those who want to bring their instruments, there are numerous jam sessions held monthly in the area as well, from the monthly Second Saturday ArtWalk to regular sessions at the Scott Welcome Center. Age is never a consideration, not is the ability to sing in French. 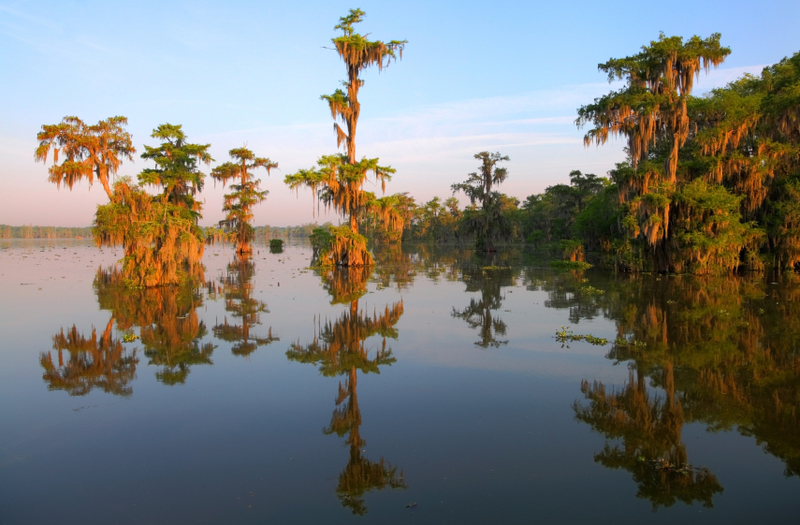 Lafayette lies about two hours west of New Orleans and just south of Interstate 10. Known as “coastal South,” the weather is often hot and humid in the summer but fall and spring are gorgeous times to visit, with flowers blooming for months. Winters are practically non-existent. Because it’s almost a subtropical zone, rain showers are likely throughout most of the year, sometimes violent. Be prepared for sunshine one minute and thunderclaps the next. If you are interested in visiting southern states, check out our Charleston Vacation Packages and start planning your next vacation!